Are you passionate about animals, big and small? 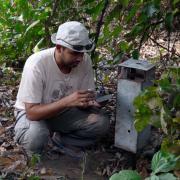 Are you interested in conservation? If you said YES to ONE of these questions – this job sector may interest you. Most careers and jobs in Animal Sciences require you to work with animals (land or sea), including mammals, insects, birds etc. Animal Sciences covers almost every possible career that has to do with animals. If you want more information about careers under Animal Sciences, click on the different sectors on the left (or below) to find different and interesting job descriptions. What to do with my first pay cheque? Do you have a passion for companion animals as well as excellent human communication skills. 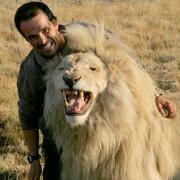 Your great love of animals will help you should you wish to be an Animal Behaviourist. Ethology is the scientific study of animal behaviour – a branch of zoology. It is a mix of laboratory and field work. An Animal Breeder is someone, like a dog or cat breeder, who is breeding small animals for sale as pets. An Animal Breeder can also be an Animal Scientist. They study clever ways to farm livestock (eg cows, pigs, chickens etc) and animal-based products we eat. Are you passionate about animals? If you said YES, have you considered becoming an Animal Care Attendant? An Animal Attendant will make and provide food, give water and take general care of animals. 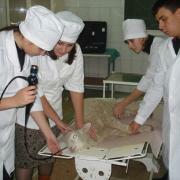 Animal Health Technicians are interested in all technical areas of animal health care. They work together with and help veterinarians, scientists and science students. So, if you have a passion for animals and animal care – then this might be the job you’re looking for! An Animal Nutritionist is a person who specializes in the dietary needs of agricultural animals, zoo animals, and pets. 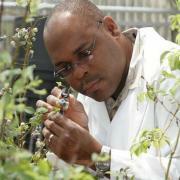 Their job sites include farms, laboratories, classrooms and commercial-based marketing for foods. Animal Science is the ‘study of the biology of animals’. All animals can be studied. For example: farm animals, exotic animals, wild animals or animals bred for pets. An Animal Scientist will experiment and study information about breeding, animal behaviour, production, diets, business and animal care. If you have a love of animals and believe you have the ability to train them to do tricks or obey commands then becoming an Animal Trainer might be the career for you. Animal Trainers use different techniques to train animals for riding, security, performance, obedience, or assisting people with disabilities. Bryologists study mosses and liverworts (small, flowerless green plants with lobed leaves and leaf-like stems which reproduce by spores and do not have the true roots). They study different aspects such as their population, distribution, structure, behaviour and characteristics. Conservation Ecologists are responsible for putting into practice systems and programmes to manage and protect our environment (animals and plant populations). They can specialise in many areas like wildlife, plants, animals, fish, birds, etc. Do you love bugs? If you said yes, then this could be the perfect career for you! 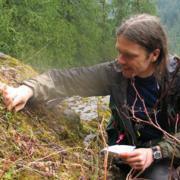 An Enthomologist studies insects and their relation to plant and animal life. 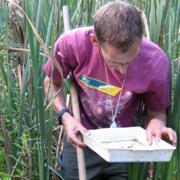 Entomology is a very old science which specialises in the study of insects. Humans have studied insects for centuries. A Guide Dog Trainer’s job is to train a dog to assist physically disabled people so that the person can live as normal and independent a life as possible. 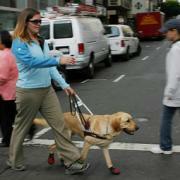 They also train the disabled person to bond and ‘work’ their dog correctly. For your information – A Herpetologist does NOT study herpes or sexually transmitted diseases! A Herpetologist is a kind of zoologist (animal scientist) who specialises in the study of reptiles and amphibians. The job of a Horse Breeder is to breed and sell horses. They have many responsibilities: eg nutrition, hoof and teeth care, grooming, tack and equipment maintenance, exercising horses, stable yard design and maintenance, equestrian disciplines etc. 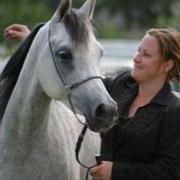 A Horse Stud Manager or “stud master” is a person responsible for an employer’s breeding stock. He/she’s is responsible for the stables, breeding, health, training and selling of horses. They are in charge of the promotion and marketing of the stud. This job is mostly office based. Horse Trainers are also known as equine trainers. 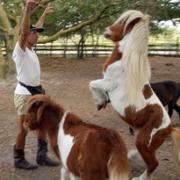 They train horses for: riding, harness, security, performance, obedience and assist persons with disabilities to ride. They get horses used to the human voice, touch and to listen to commands. A Mammologist is a kind of zoologist who specialises in the study of mammals – both living and extinct. 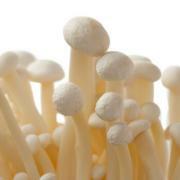 Mycology includes the study of genetic and biochemical properties of fungi (moulds). Some areas of mycology include: medicinals (e.g., penicillin) and food (e.g: beer, wine, cheese, edible mushrooms). Studies about the dangers of fungi (poisons or infections) are also covered. The job of a Nature Conservationist is to work to protect and manage and our local, natural environment, including grasslands, forests, coastal areas, mountains and rivers. Nature Conservators in a zoo work alongside Zookeepers. They are responsible for the well-being of all the animals in the zoo. 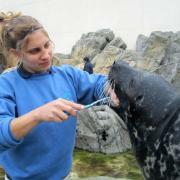 Nature Conservators also work to help educate the public regarding the animals. A Nematologist studies nematodes (roundworms) that are plant parasitic, transmit diseases, attack insects, or attack soil, fresh water, or marine nematodes. They identify and classify nematodes and study structures, behaviour, biology, ecology, physiology, nutrition, culture and distribution. The lifestyle of our feathered friends (birds) is an interesting area of study – becoming an Ornithologist could be a fascinating career for you. 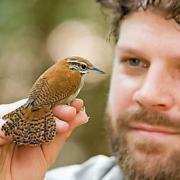 Ornithologists are bird specialists who have a strong scientific approach to their work. 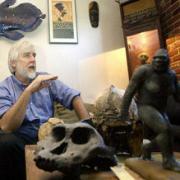 A Primatologist is a scientist who studies non-human primates. 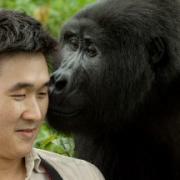 Amongst all living creatures, primates are our closest relatives. The most famous Primatologist was Dian Fossey. Dog Walker is a person who walks a dog/s, from the dog’s residence and then returning it. You can also drive the dogs, in your own car, to other walking locations. Silviculturists look after our trees and forests! Silviculturists are in DEMAND! 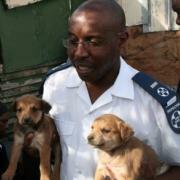 The job of an SPCA Inspector is to make sure all animals are treated with kindness. 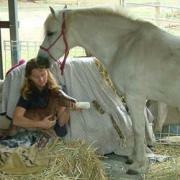 They make sure that no animal is neglected or abused. You will find all the Aquatic Careers under this section. For example: Marine Biologist, Ichthyologist, Aquatic Scientist Technician, Limnologist etc. Veterinary Anatomists are veterinary specialists. Veterinary Anatomists specialise in the biological animal structures and systems. 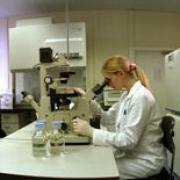 Most Veterinary Anatomists work in research laboratories or clinics. Some may work in pharmaceutical companies or for companies producing animal foods and products. Veterinary Microbiologists study different micro-organisms that cause diseases in animals. They study biology, ecology, etiology, bacteriology, virology and immunology of micro-organisms and they spend a lot of time researching causes of diseases in animals. They work in laboratories. 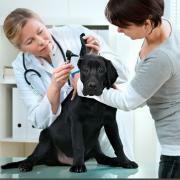 In the Veterinary practice, one of the most important jobs is that of the Veterinary Nurse. It’s the Veterinary Nurse (men or women) who work alongside the Veterinary Surgeons providing a high standard of care for animals. 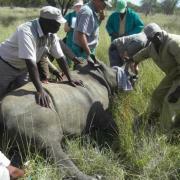 They also help veterinarians during operations, and take laboratory samples. 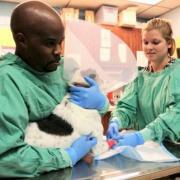 The job of a Veterinary Surgeon (vet) is to diagnose, treat and research diseases and injuries of animals. Veterinarians can work on pets of all sizes (birds, cats, horses etc), livestock (sheep, cows, pigs etc) or wild animals /game (zebras, lions, giraffes etc). Do you have a scientific mind? Do you love animals? If you would like a job in a laboratory and would love to help animals – consider a job as a Veterinary Technologist. 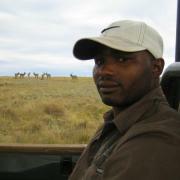 A Wildlife Biologist studies both animals and plants. 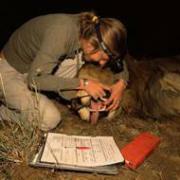 It’s more common, however, that Wildlife Biologists only work with wild animals. A Wildlife Manager’s number one job and responsibility is to ensure that wild animals (including aquatic) maintain healthy populations sizes. Wildlife Managers can work in game parks, forests, deserts or in any location where wildlife management needs to take place. 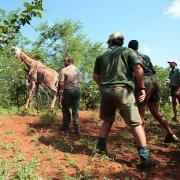 Wildlife Rehabilitators usually work in rehabilitation centres. 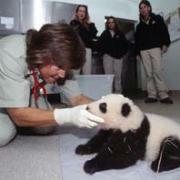 They take care of injured or baby animals until they are strong enough to be released into the wild. If you’re passionate about wildlife and want to be part of this industry – then consider becoming a Wildlife Rehabilitator. 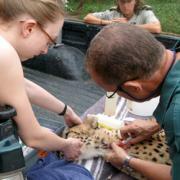 A Wildlife Veterinarian treats wild animals including birds, amphibians, reptiles and mammals. 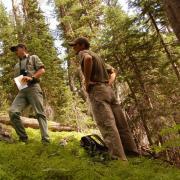 A love of the outdoors and of wildlife are the requirements for entering this profession. 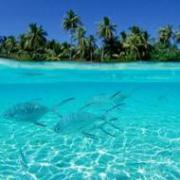 Zoology is a biological science which studies animal life. 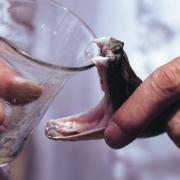 Zoologists study animals in nature and in the laboratory. Zoologists study the origin and development of animal species, the behaviour of animals, and the interaction between animals and their environment.